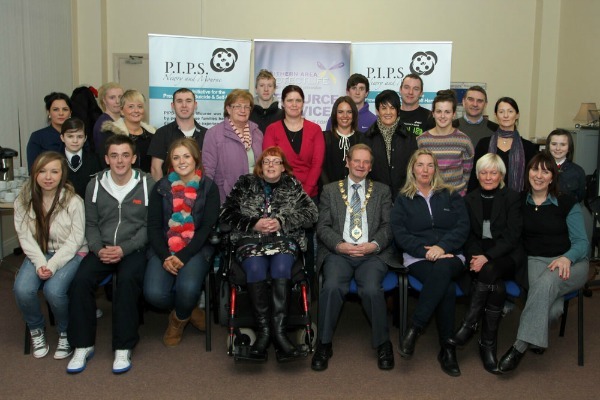 As an expression of gratitude an evening of appreciation was held in the premises of the local suicide prevention charity PIPS Newry & Mourne Limited on Tuesday 11th December, in attendance were this years skydiving group and some of our local volunteers The skydive was held between September and October, through sponsorship the amount in total raised was an amazing £10209.69. Guest speaker on the evening was Mayor John McCardle who stated the importance and value of volunteers. Seamus McCabe from PIPS stated we are hugely indebted to our volunteers who provide hours of service annually and to the many fundraisers who have worked tirelessly to raise funds to help transform the lives of vulnerable people in our community. My hope is that we can continue to yield the same innovative fundraising & volunteering challenges that we achieved during 2012, so thank you to everyone who fundraised, donated, or supported us in any way.